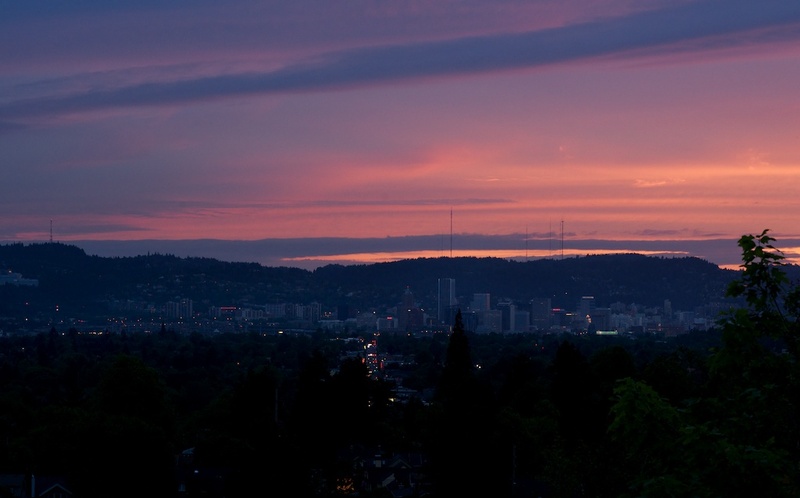 Everyone knows about Portland's rain, but you probably were unaware of the amount of daylight Portland receives. Yesterday, three weeks shy of the longest day of the year, the sun rose around 5 am (I was still sleeping) and set around 9:30 pm. After a full day of preserving, baking, cooking, gardening, running, and gleaning, I had finally settled onto the couch, only to glance out our front window and glimpse incredible colors over the neighbors' roofs. 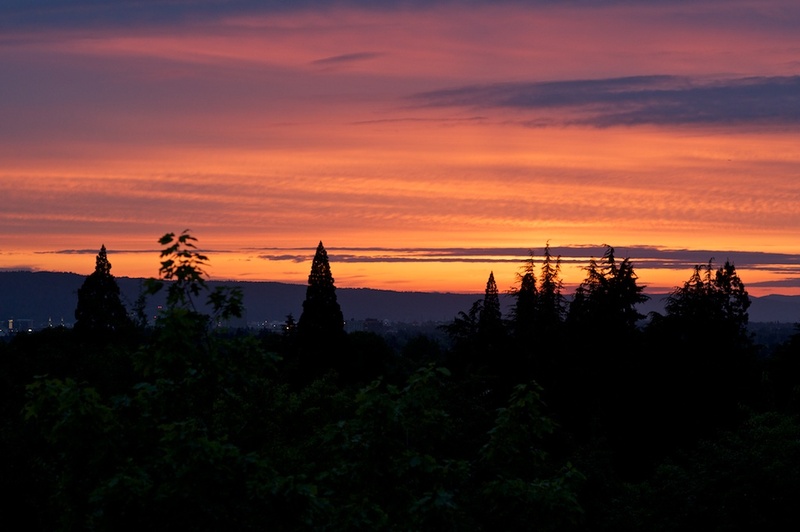 After we stood on our porch to admire the sunset, Justin suggested quickly driving up to Mt. 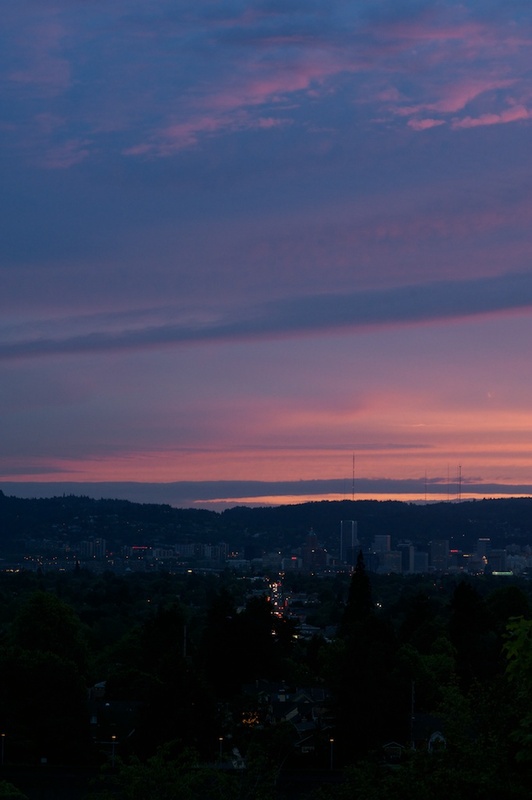 Tabor to view the sun setting over downtown Portland. I frequently run the hills of Mt. Tabor (or even more brutal, end my long runs with a hill run), but at 9:30 at night, I was content to drive up the hill! We parked the car just in time to admire the sun setting over the city. Truly spectacular. Portland is currently the capital of the independent craftsman (as Crafty Wonderland's recent massive, convention-hall-sized-spread of Etsy sellers clearly illustrated).